I loved Queen before I knew could sing. I was 12 years old, it was 1986 and had never sung publicly and didn’t have a thought in my mind that singing or performing was in my future at all. I went to a private boys school in the burbs of Melbourne and as such, had quite a sheltered existence. My father was a music nut (still is) and so I was bought up on a steady diet of Sammy Davis Jnr, Dean Martin, Johnny Mathis, Ella Fitzgerald & 50’s/60’s rock ‘n roll. He had over 2000 LPs (vinyl records for you young ones – Google it if you still don’t understand) and his taste in music was varied to say the least. He was always coming home with something new. I’ll never forget when he arrived one day with the Thriller album. It was on rotation for months! He had the best stereo system and was constantly updating it and it was always played LOUD!! I didn’t yet have my own interest in music yet. My dad had been hammering me for years with the classics and so I guess I had a good starting point, even though I didn’t know it. And despite this huge array of musical experience, I had not yet even heard of Queen. At my school we’d been asked to bring an interesting song to our music class. We had music once a week and so each class a couple of students got to play their favourite track. One day a friend of mine, Damian bought in a cassette of the song, Bohemian Rhapsody. He played it to the class. There were giggles and comments. I was transfixed. I had never heard anything like this!!! My closest mate, Warren and I talked about it for days and started researching this band, Queen. CD’s were the absolute latest thing at the time and my father had just bought a CD player for an ungodly amount of money. He heard of my new interest in this band, Queen and was excited as he saw me interested in something for myself. One day he arrived home with a gift for me. Queen – Greatest Hits, on CD!!! Well, did this get a hammering!!! Later on that year, the whole year level went to see the first performance of the school musical, The Pirates of Penzance. Once again, I was absolutely blown away. I had found what I wanted to do in my life. Perform. The guy who played The Pirate King was incredible. The music and the passion in that performance left an indelible impression. As soon as I was allowed, I auditioned for the school musical (2 years later) and spent the next 10 years performing in amateur music theatre productions of Brigadoon, Calamity Jane, Guys ‘n Dolls, Pippin, Oliver and the like. I did a few years in pantomime also. However, by my mid 20’s I had drifted from my dream to perform and ended up in the business world. I got married, had kids and became ‘responsible’. The one thing that never left me however was my obsession and passion for the music of Queen. Everyone who knew me was forced to listen to Queen in my car, at my home, on road trips… They had no choice. My wife at the time even started to like it (she won’t admit that). My two boys were hammered too. Life went on and I didn’t start a Queen Tribute. I had sung in a few bands but was out of the loop. I didn’t know many people in the industry and had no idea how I to start. 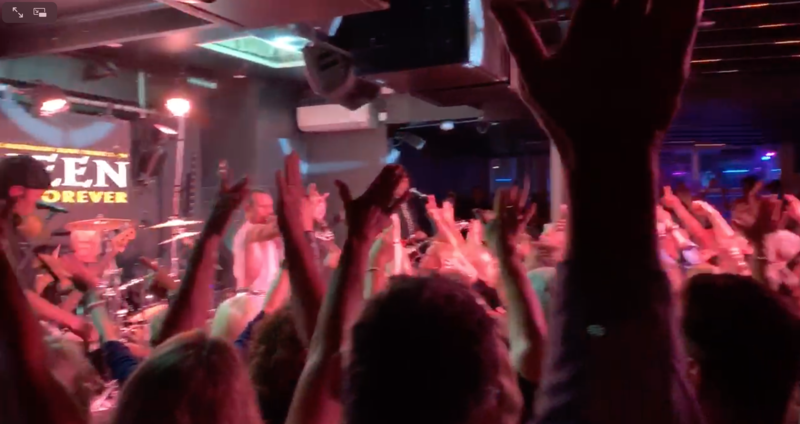 Then my younger brother, David (a Queen fan due to having been given no choice by me) invited me to see another Queen Tribute. This time it was at a local bar. I didn’t expect much and I wasn’t disappointed. It was horrible. But this time, there was one difference. Drugs and alcohol. I used to indulge quite a bit, especially when I went out on the town. With my inhibitions gone and after the final song had been played (if you can call it that), I approached the guitarist and said to him, “You’re great but your band is horrible. I could sing those lycra pants off that lead singer of yours.” Strangely, he didn’t get upset but asked for my number and said he’d call me. A week or so later I got a call from him, asking if i’d like to ‘jam’. I said yes and invited a drummer friend of mine along. I knew all of Queen’s songs inside out, frontwards, backwards and sideways. I’d sung them at karaoke bars many times, but singing in a real band, well I knew that was far harder. I attended the first jam and 15 seconds into the first track (which I think was Crazy Little Thing Called Love), I WAS Freddie Mercury. I was in my element. I was completely overjoyed. 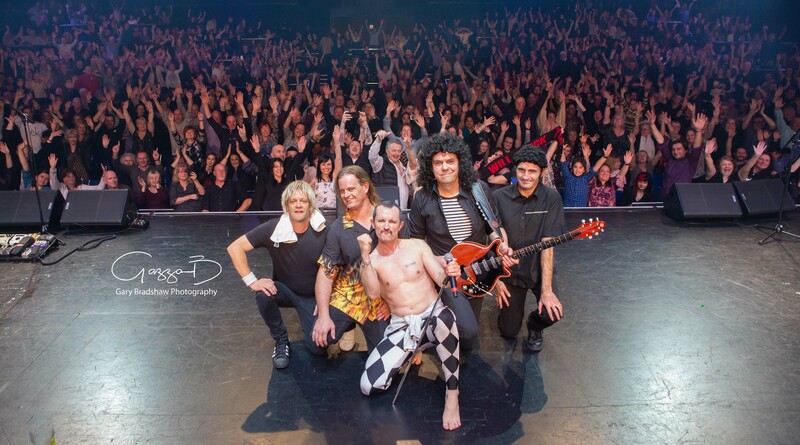 Straight away I started to plan for this to be a real band; A genuine tribute to Queen and Freddie Mercury. I had gotten so much joy from the music of Queen over the years, I wanted to bring that joy to others. I knew it was a formidable task. I knew that I would forever be chasing perfection and that I would never get there. 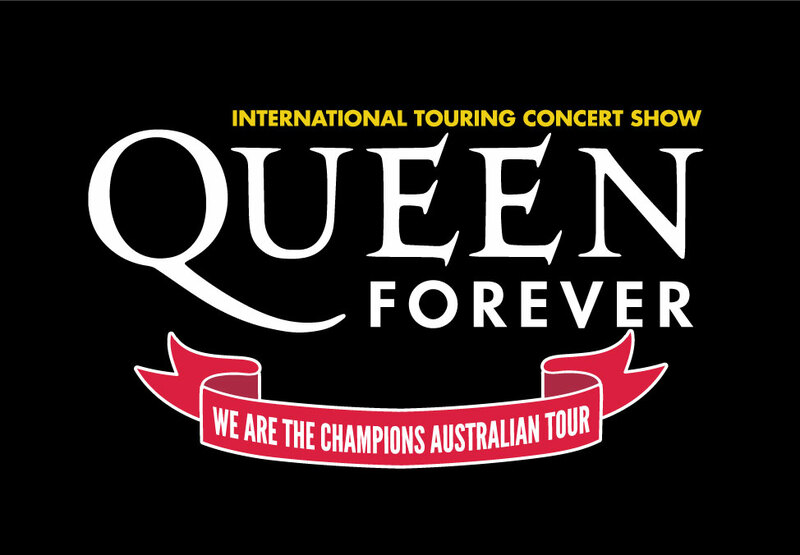 Queen’s music covers such a wide range of styles & messages. From heavy metal/hard rock anthems about nuclear war to Aretha Franklin’esque gospel classics about finding love, Queen could do it all. The styles they covered throughout their career include blues, gospel, love ballads, power ballads, hard rock, heavy metal, bluegrass, pop, soft rock, ragtime, rockabilly, opera, jazz and more. I love Queen because there is a song for every mood, for every moment of heartbreak and every time of celebration and success. Queen and Freddie penned music for fun, for laughs and because entertaining people is a virtuous activity. That’s why I love singing Queen songs. It fulfils my desire to entertain and there’s no better music to do that with!! 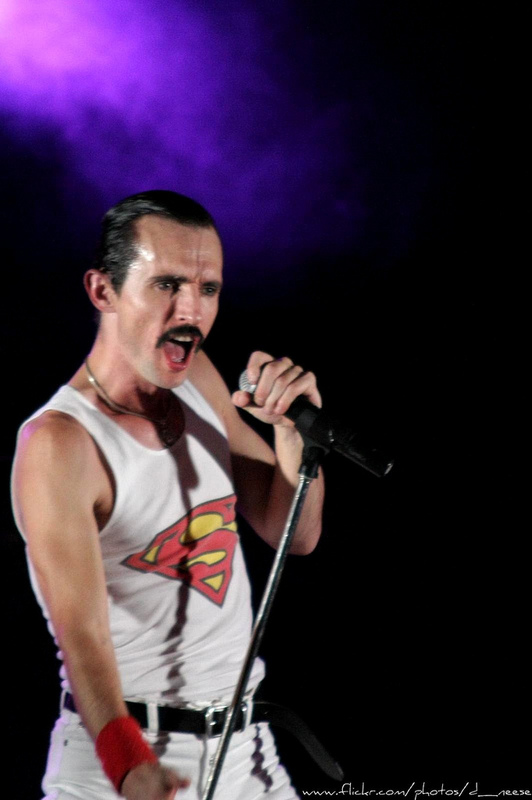 Performing as Freddie to me is the best I can do to keep his music alive and to pay tribute to him. Doing it with respect and veneration is so important to me. Freddie was a perfectionist, a genius, a brilliant song writer and more than anything else, he was an entertainer. 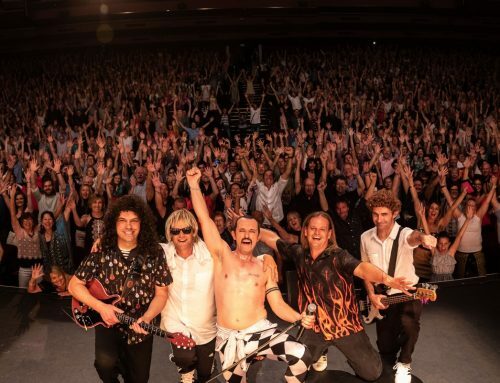 Queen audiences were always left blown away by Queen’s performances. 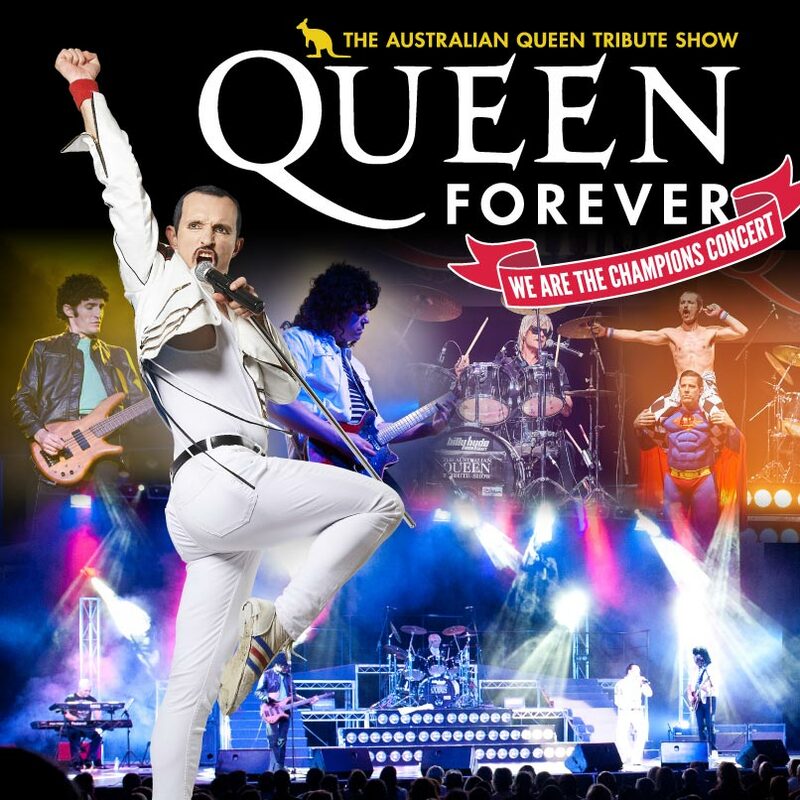 Over the years of performing with Queen Forever – The Australian Queen Tribute Show, I have spoken with 100’s of fans who saw Queen live in their hey day and every single one claims Queen was the best concert they’ve ever been to. With that as a backdrop, we have a lot to live up to! Come and see our show and afterwards, hang around and catch up with me for a chat and a photo. I’m always up for meeting new people and hearing about your Queen story!